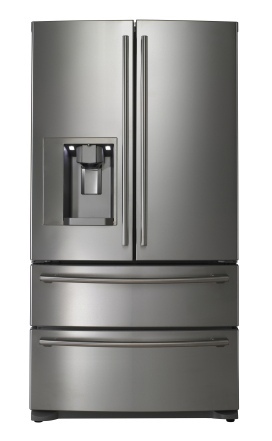 A refrigerator maintains a temperature a few degrees above the freezing point of water. A similar appliance which maintains a temperature below the freezing point of water is called a freezer. Freezers keep their contents completely frozen. Most freezers operate around 0 °F. A freezer can be included as a compartment in a refrigerator, sharing the same cooling mechanism or with a separate mechanism. Also freezer can be a standalone unit. Many modern freezers come with an ice makers.